I think Ava needs one of these. I found this “sorry” article one of the most fascinating things I’ve read recently. I know I do this more often than not and now I’m going to catch myself when I’m about to utter this word. So yes, Tommy and I are about 9 years behind from when the TV show, The Office, last aired in 2013 (minus syndication), but we have settled into a new, fun evening routine that I look forward to every day – once the kiddos are in bed, we’ll each have a glass of wine and watch a couple episodes of The Office together. We are currently more than halfway through Season 3. It’s the little things ya’ll. If the weather holds this coming weekend, I would love to take the kids to the Blossom Kite Festival on Saturday. Will we see any of you there?! 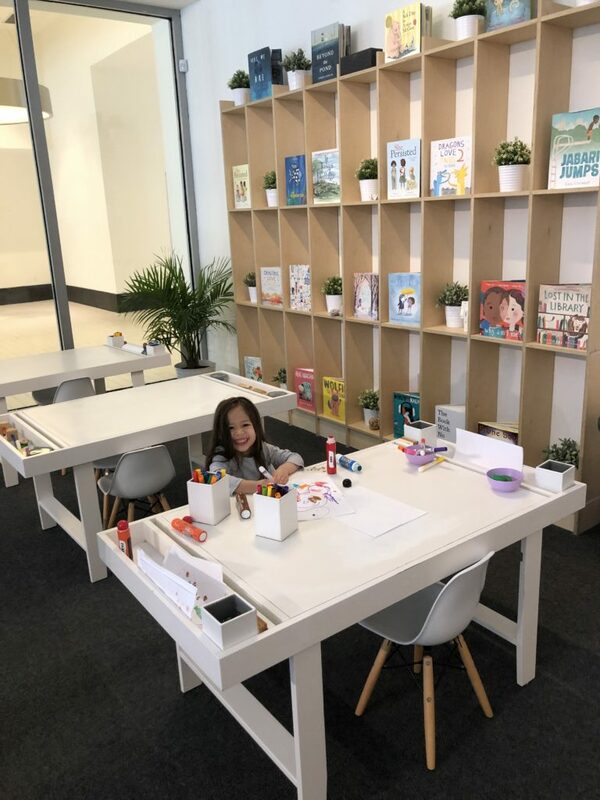 We’ve become fans of Nook, another indoor play area with a couple locations around town (Mosaic District and Ballston).